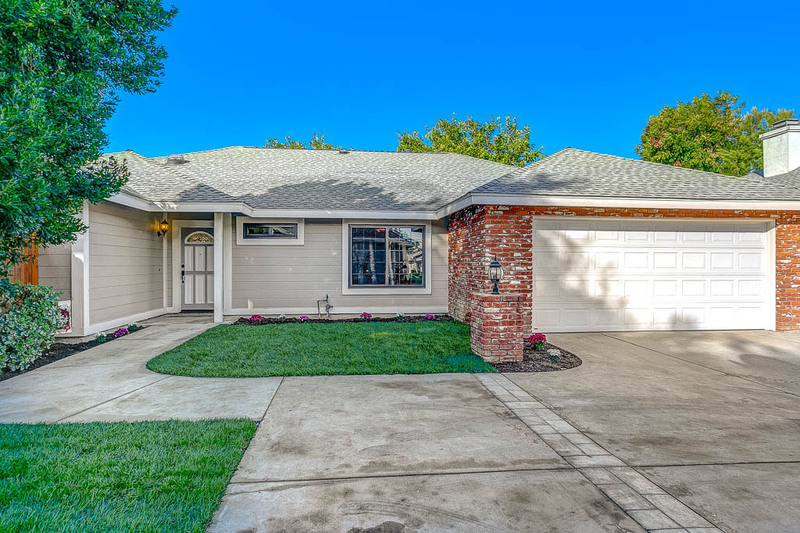 A meticulously remodeled, single level detached home located in the heart of north Monrovia, a quiet retreat sitting away from the street in a 6 unit planned development. This home has a large living with fireplace and sitting/family area. The fabulous gourmet kitchen has quartz countertops, attractive backsplash, custom made new oak cabinets, dimmable under counter lights, new stainless-steel appliances, new vinyl floors and an adjacent open dining area. The spacious master suite has a full remodeled en-suite bathroom and walk-in closet. Two extra bedrooms and a full updated bathroom can be closed off from the common area rooms. There is an attached 2 car garage with additional storage and laundry hook-ups. Just blocks from charming downtown Monrovia with shops, restaurants, a movie theatre, and the weekly Farmer’s market. Easy access to the 210 freeway and Monrovia Metro station (1.4 miles away). Other features include new California Deluxe dual paned windows & doors throughout, central A/C, newer roof, copper plumbing, all new flooring, and an abundance of storage. This is an opportunity you do not want to pass by.